Musgo Real Shave Cream, Body Cream, Soap and Colognes for men, are still hand-made in Portugal by Claus Porto for over 100 years! 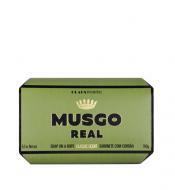 Musgo Real Shave Cream is hand-made with natural ingredients in Portugal. The shave cream is stirred in an open kettle for three days which allows for the production of an very rich cream. Each kettle of cream yields only 300 tubes. For use with, or without a shave brush. 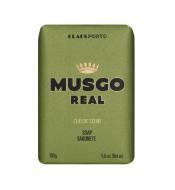 Musgo Real Soap from Portugal, especially for men, is a hand-made, triple-milled, hard soap, with the fresh fragrance. Match it up with the Musgo Real Shave Cream, the Musgo Real Cologne Splash or Musgo Real Body Cream. Made in Portugal by Claus Porto. 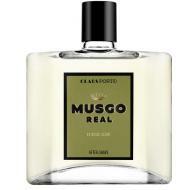 Musgo Real After Shave Classic Scent is a combination of patchouli and vetiver, lavender and geranium, witch hazel, aloe and Echinacea. It contains 5% fragrance, making it almost a cologne. Very refreshing! Musgo Real Agua de Colonia No. 1, Orange Amber is a combination of Mandarin orange, spicy bergamot and hints of amber and musk for a scent that is great, day or night. 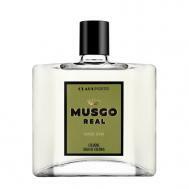 Musgo Real Classic Scent Cologne is a woody oriental cologne which leaves a subtle layer of fragrance on the skin. A combination of spicy notes of sandalwood and patchouli with the warmth of vanilla.